The Javan leopard (Panthera pardus melas) is an endemic species to Java and currently classified as critically endangered species on IUCN Red List, since there possibly even less than 100 left in the wild (Ario et al., 2008). This is the result of pet trade, poaching, habitat loss and fragmentation but also due to a decline of prey which forces leopards to enter villages to find food, what causes animal-human conflicts. Erwin Willianto reported that since 2008 a total of 39 conflicts are recorded of which 9 individuals are known to be killed or died after capture and another 25 are in captivity on Java. Except the 10 conflict leopards that were evacuated to Cikananga all other leopards ended up to zoo’s in Java. Here they will certainly not be released back to their natural habitat. 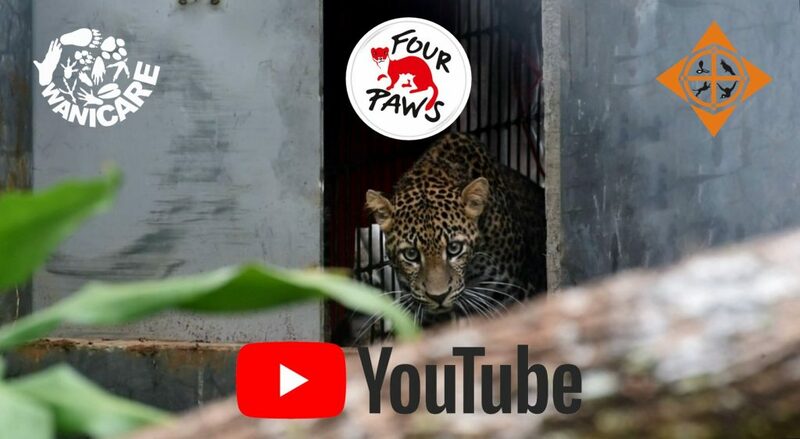 Currently the Javan Leopard Release Program is supported by our partners FOURS PAWS and the Lion Foundation (Stichting Leeuw). 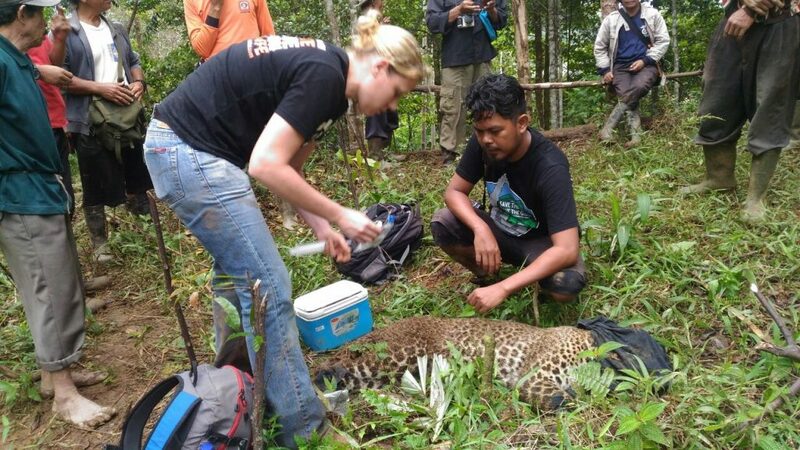 In early 2013 Wanicare and The Cikananga Wildlife Center addressed the growing concerns by developing the Javan Leopard Release Program. The program included habitat assessments and surveys, education-awareness programs and involvement of local community. Although a few habitat assessments were executed, no suitable release sites were found, due the lack of international support and insufficient manpower, the goals of the program were not reached. However, human-leopard conflicts are increasing, and there is an urgent need to take action for the survival of this species. After the evacuations of leopards to Cikananga over last 4 years we have reached the limit of our capacities since there are no rehabilitation and release programs. To prevent more leopards ending up in long-term captivity and therefore losing important behavioural traits, we initiate translocating activities into the original program. Therefore a new strategy and mitigation plan for the leopard program has been developed. In this new plan we revised the complete process starting from the leopard-human conflict till the release. This includes: Conflict mitigation, care and rehabilitation, habit assessment and surveys, release and monitoring, the education & awareness program and complete risk assessment for the program. To be fully in control of the program we designed all procedures of this plan to give insight in decision making after every taken step or event. In May 2017 the construction of a new enclosure was started where leopards can be rehabilitated. This vital step was taken together with FOUR PAWS. They are the first large international organisation that also wants to fight with us for the Critically endangered Javan Leopard. 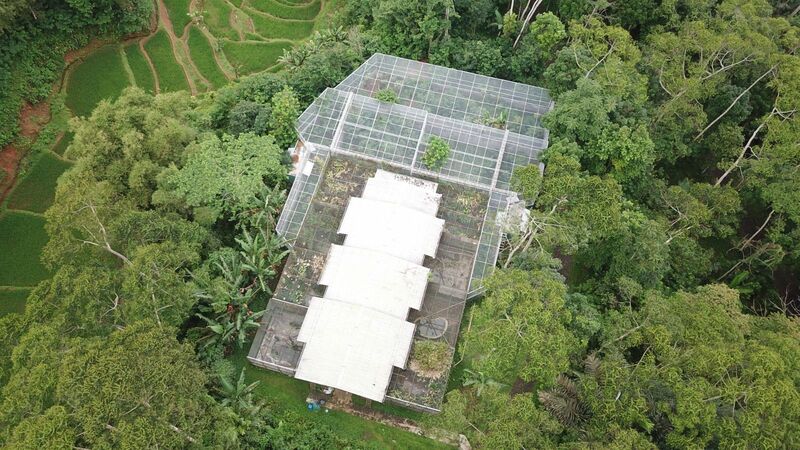 The main purpose of this new 1000M2 enclosure is to provide the necessary space for leopards in rehabilitation. It’s designed to fit their natural behaviour and this is stimulated by climbing structures on different heights, hiding places, pools and elevated resting places above the ground in a near natural setting with minimal human contact. Starting january 2018, we start a partnership with the Lion Foundation (Stichting Leeuw) for our Javan Leopard Release Program. With their support we start in 2018 the first habitat assessments for potential release sites of the Javan leopard. This is a crucial step for wild Javan leopards in captivity that can contribute to the survival of the species in the wild. These assessments will also provide important insight in the current situation of the remaining population. The Lion Foundation was founded in 2011 and rescues felines like retired circus Lions from all over Europe to their facilities at the Hoenderdaell Animal Park in the Netherlands. The Lion Foundation and Hoenderdaell aim to give rescued animals a future and bring big cats back to the wild. We are one of the few organisations that actually is fighting for the Javan Leopard. We cannot do this alone, and time is running out rapidly. If you also feel that the Javan Leopard deserves a a place in the word besides the history books: Please contact us at info@wanicare.com or donate right away.